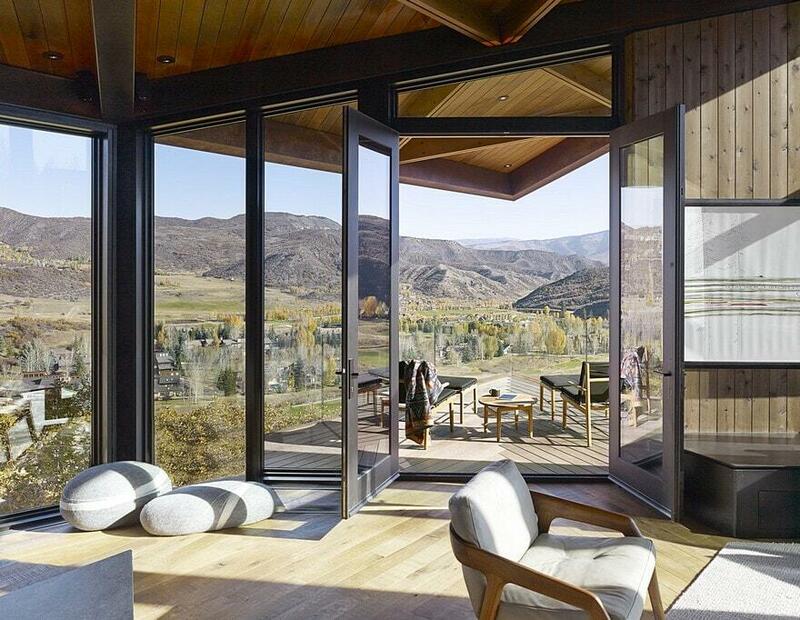 Owl Creek Residence is a retreat designed by Skylab Architecture, a full service and integrated interdisciplinary design studio. 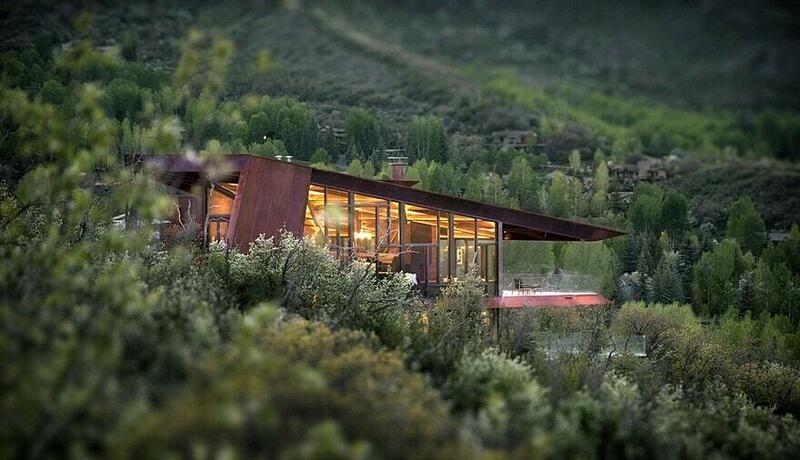 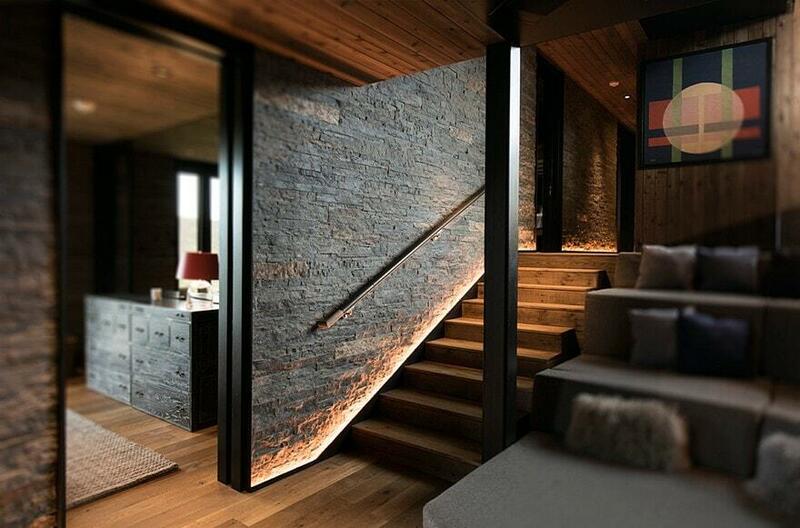 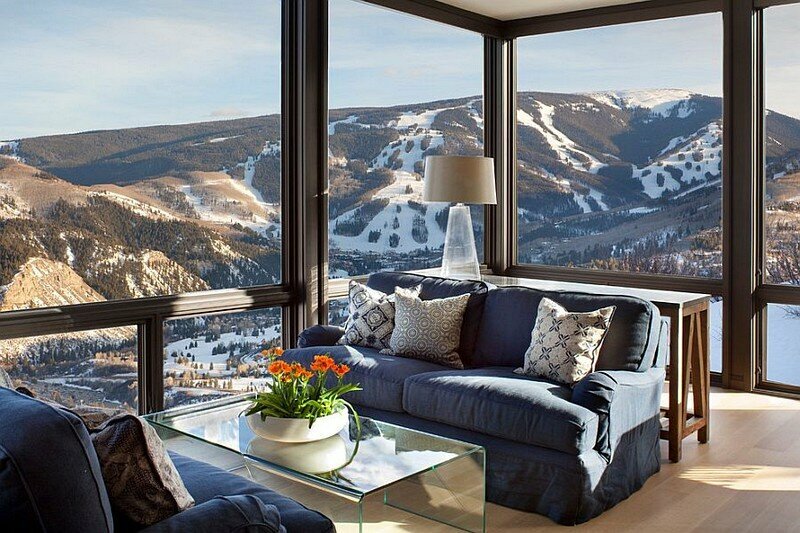 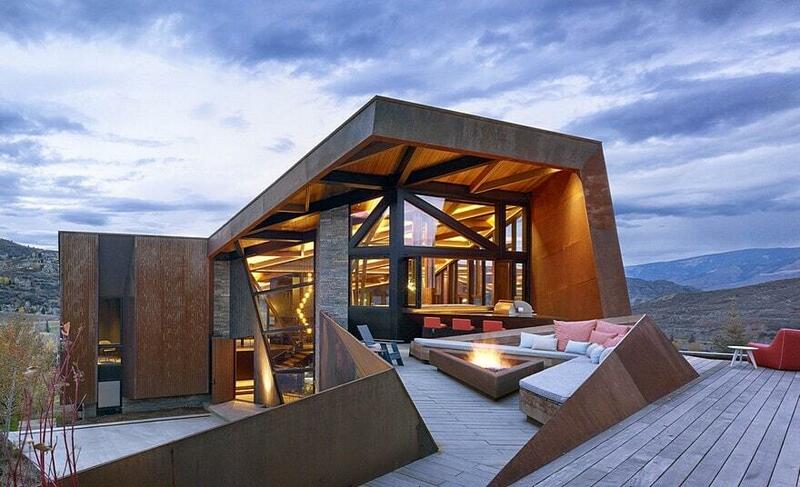 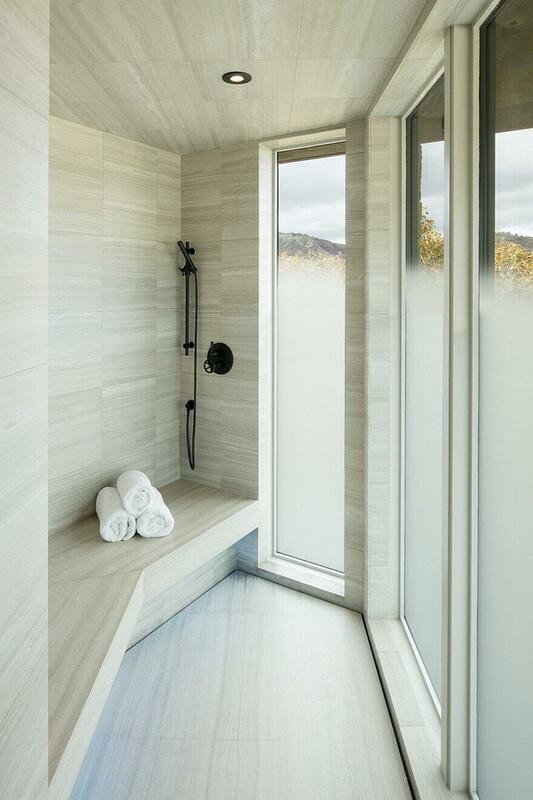 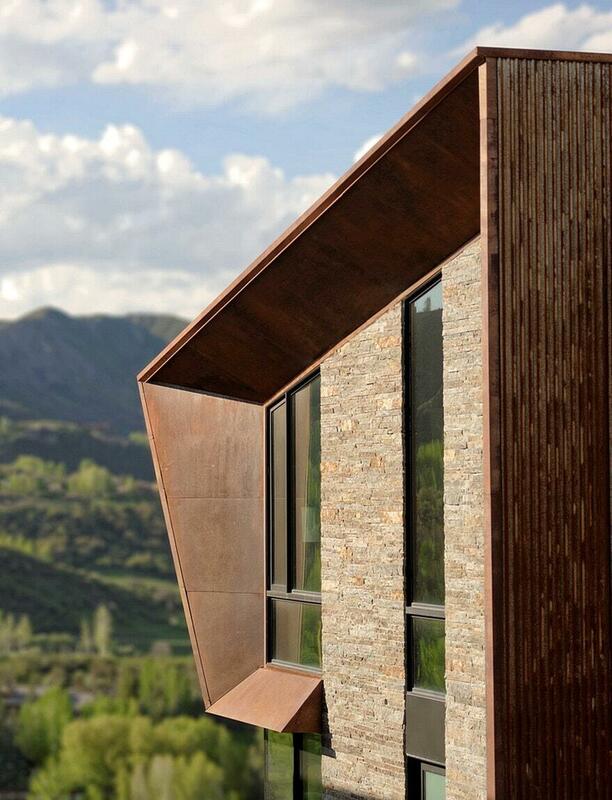 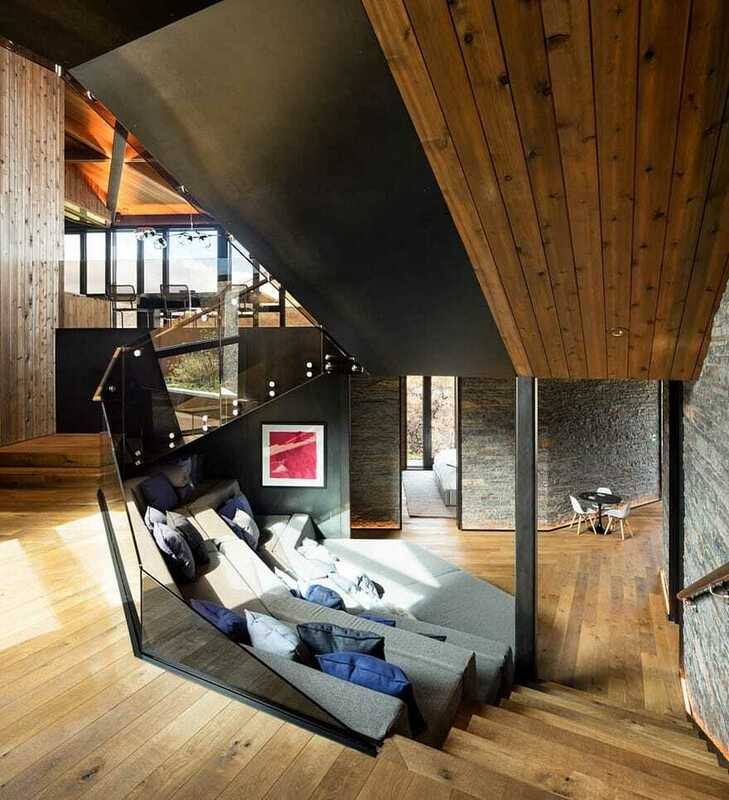 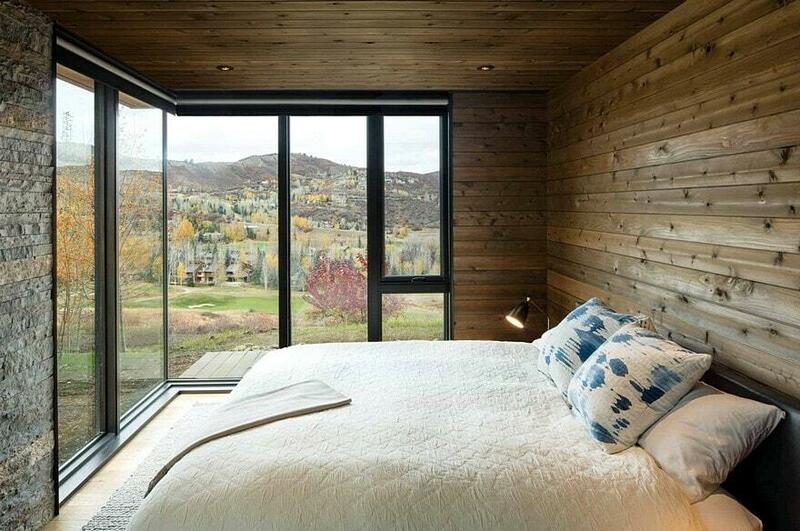 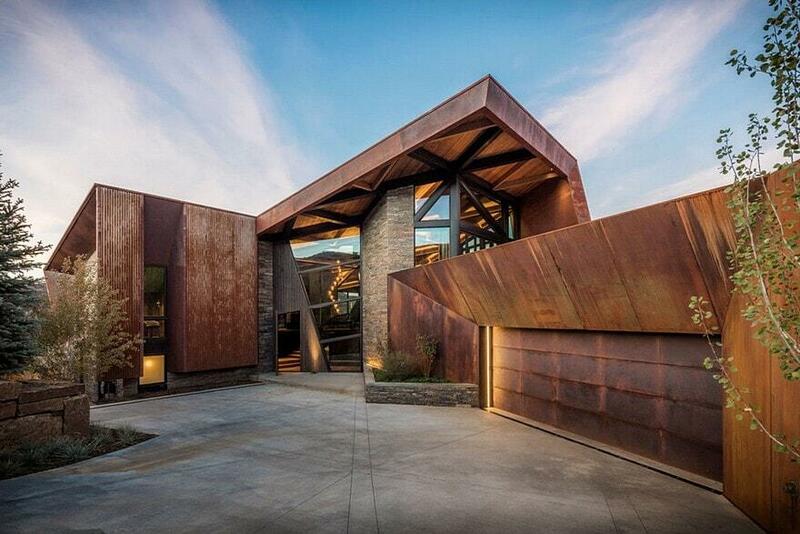 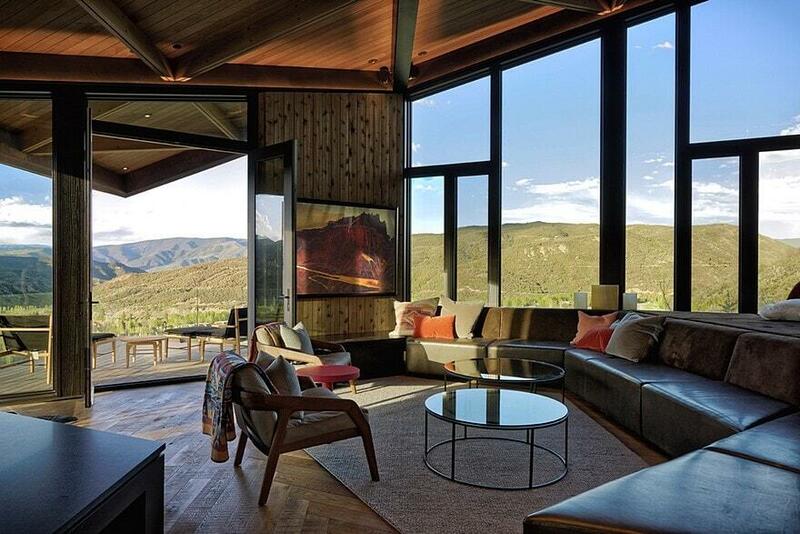 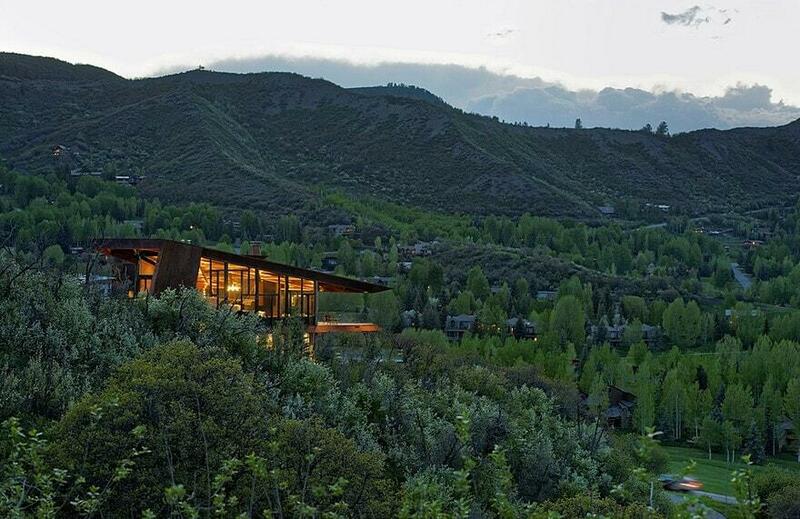 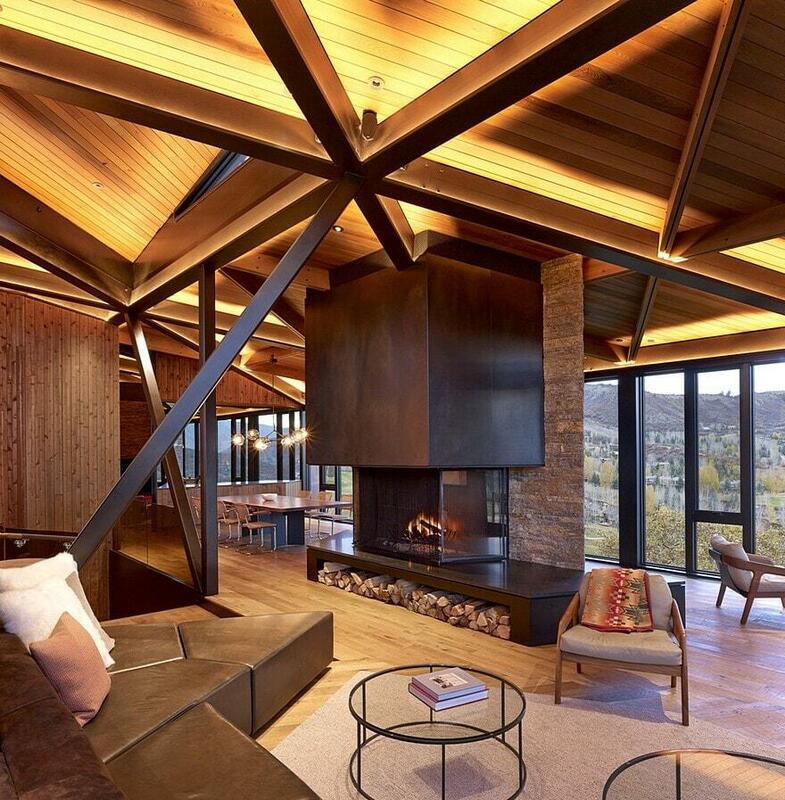 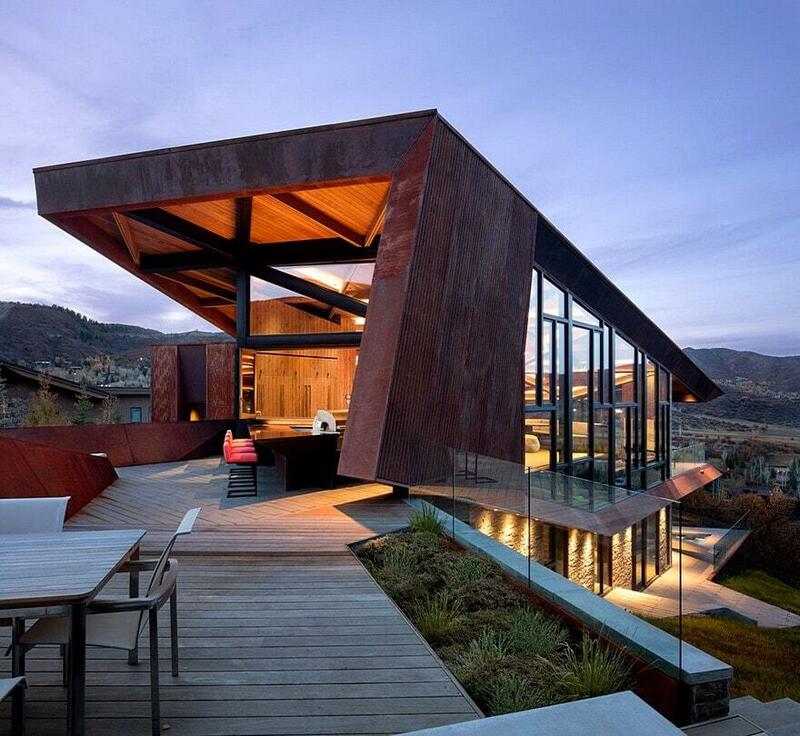 The house is located in Snowmass, Colorado, USA. 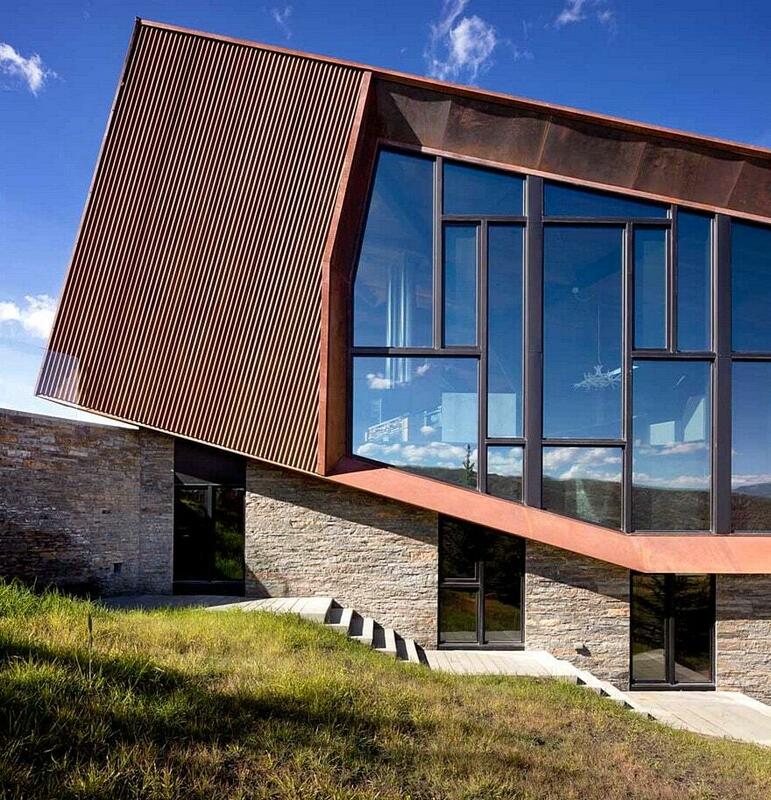 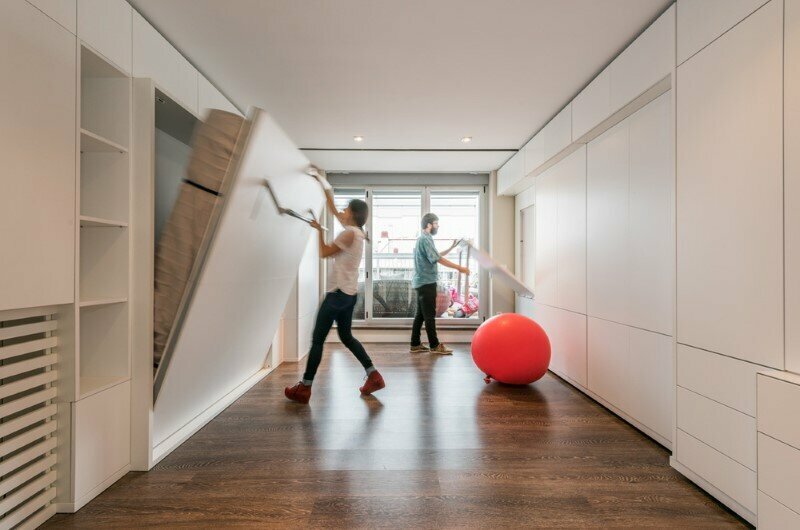 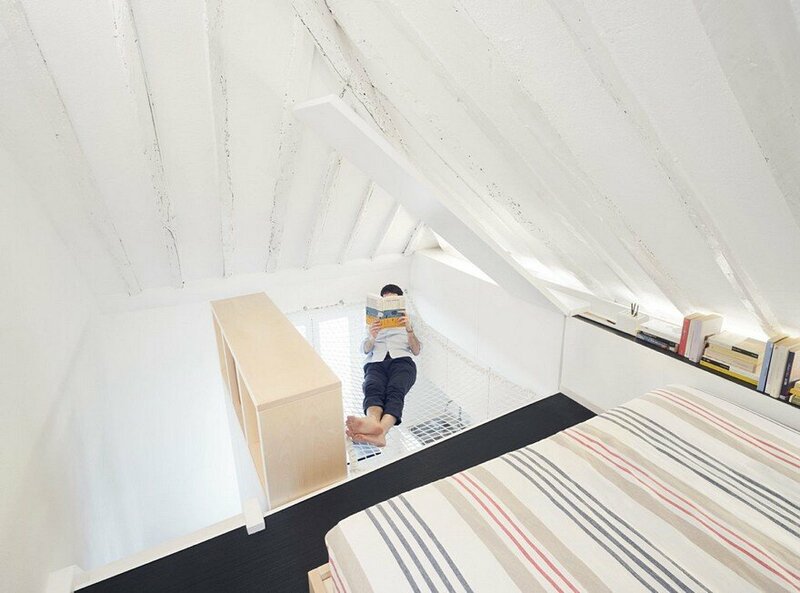 This residence serves as a vacation home for a brother and sister and their respective families. 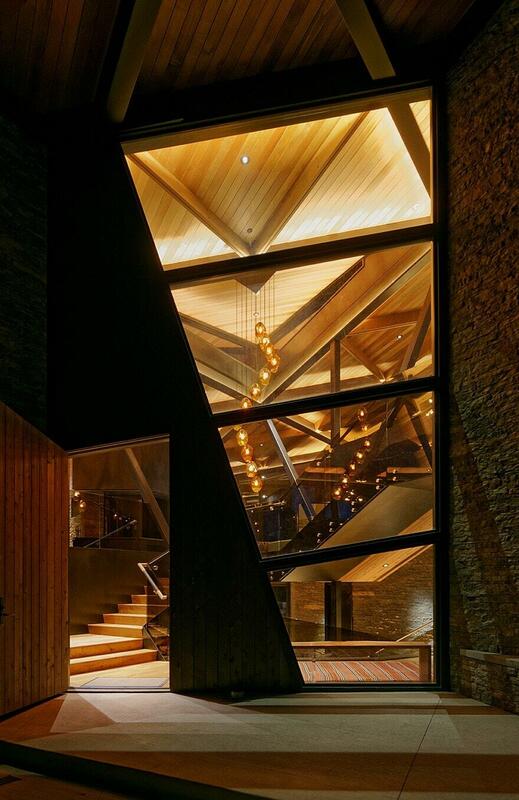 Using the strict constraints of the site as an advantage, Skylab framed powerful views on each side of this triangular structure- maximizing a connection to nature at every angle. 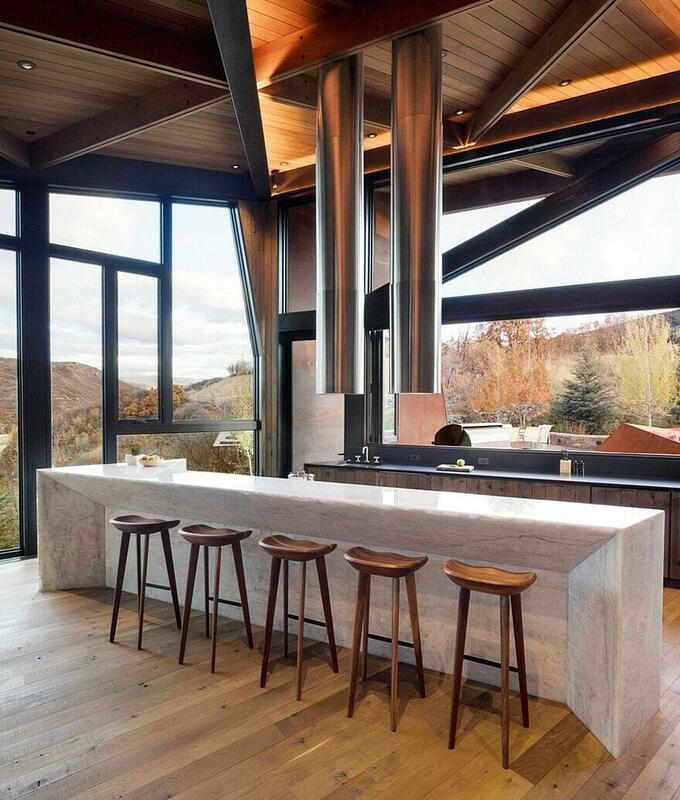 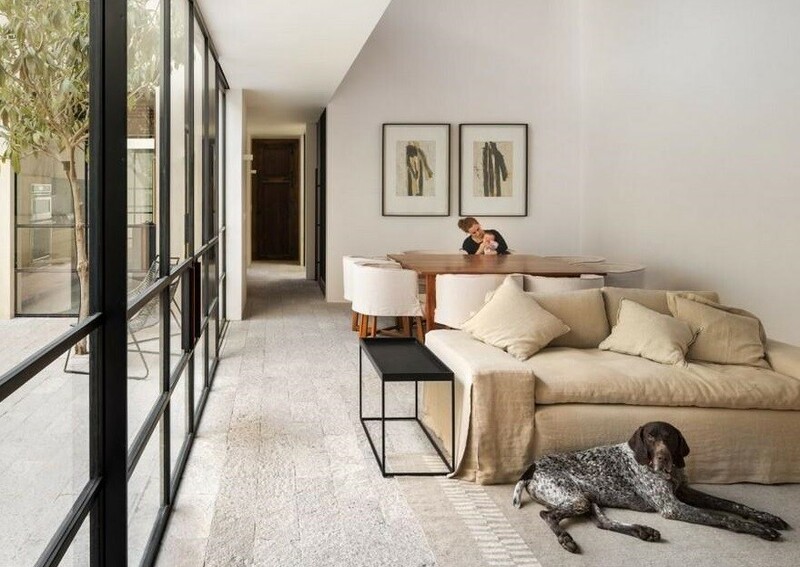 Finishes and interior spacial relationships were carefully crafted in an effort to bring the scenic landscape inward, making it an extension of the living experience. 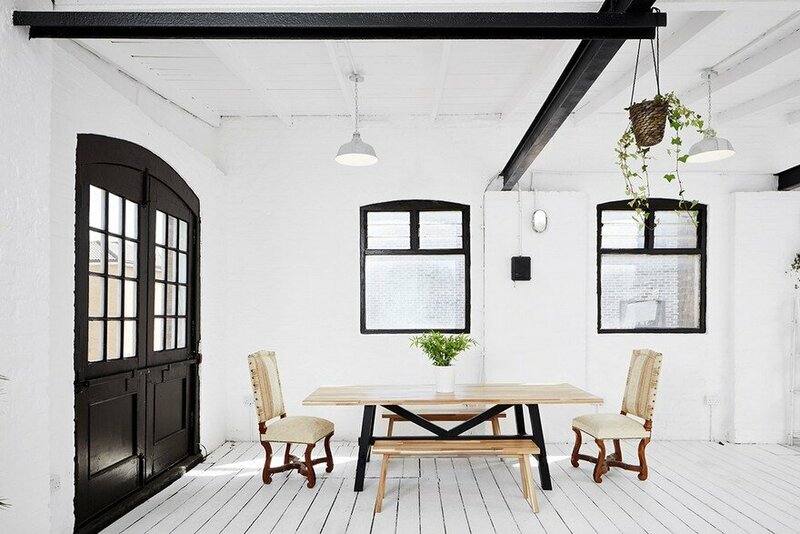 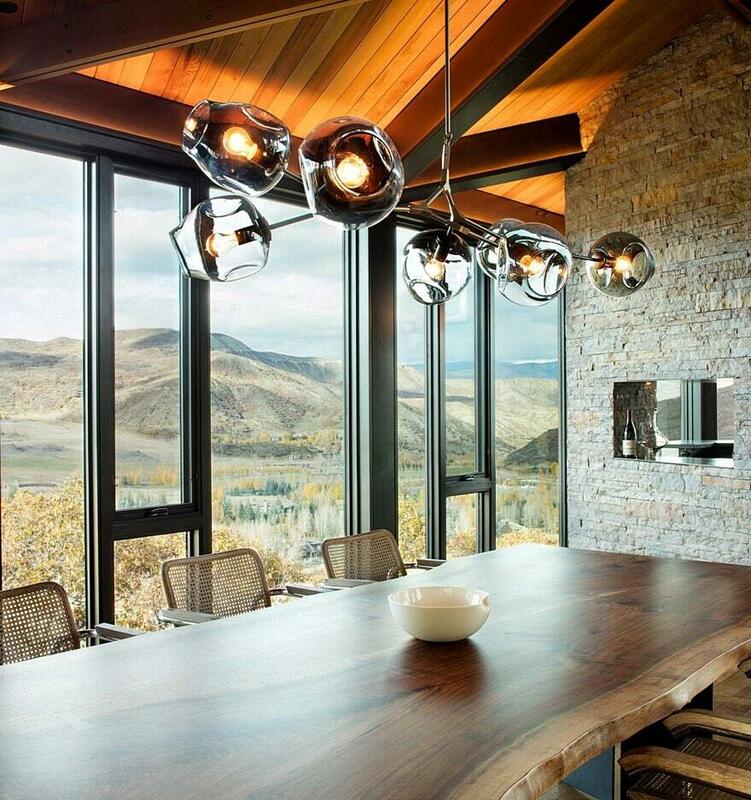 Calm, axial alignments are framed with a studied palette of rich materials. 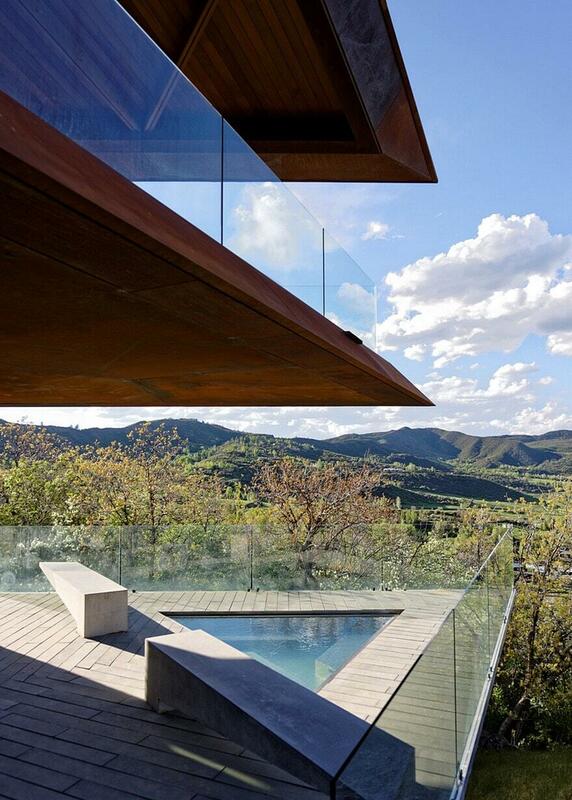 Compact and efficient suites open up to expansive outdoor views on either side of the home’s triangular axis. 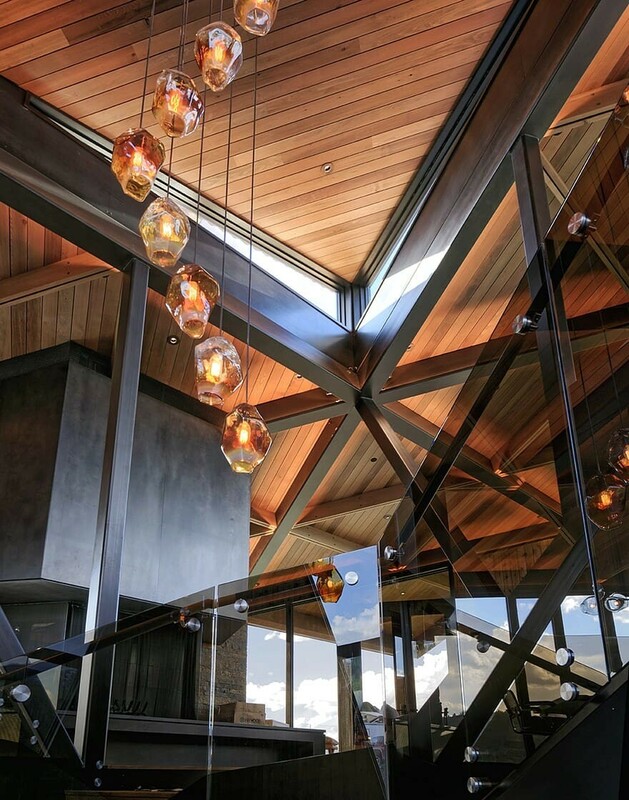 A generous living floor with grand fireplace, bar, and lounge is spread across a single open space, allowing natural light and landscape reflections to stream through. 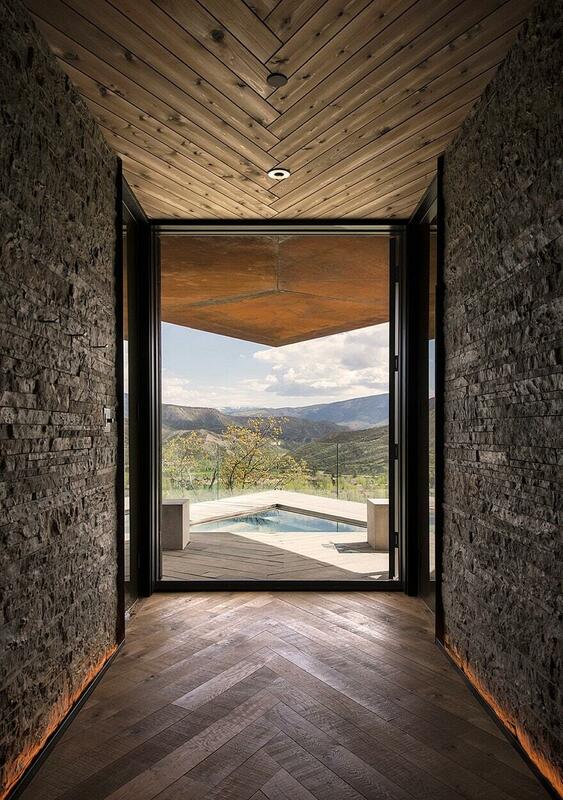 Exterior spaces open interior activity up into the outdoors. 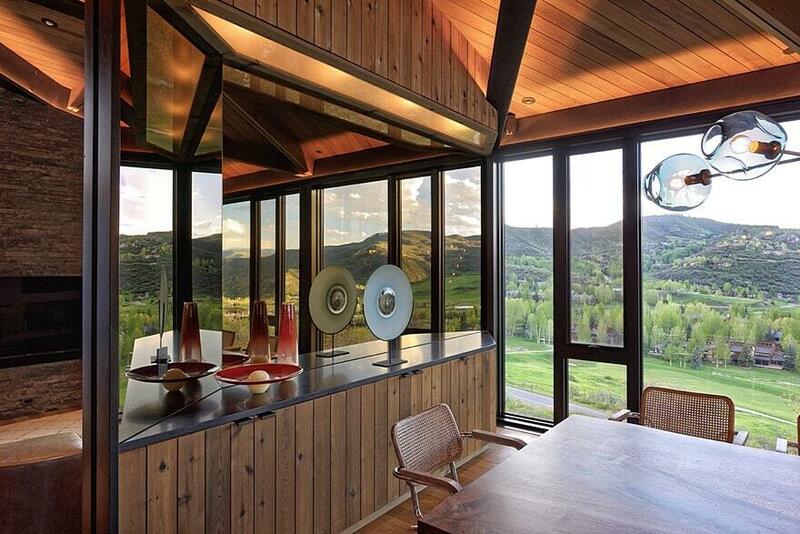 This includes a spa with panoramic views, an elevated deck and an expansive outdoor terrace right off of the kitchen. 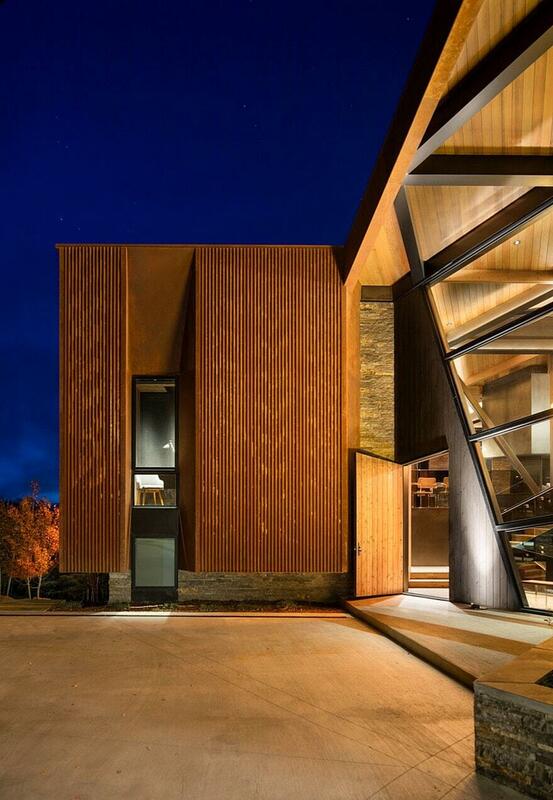 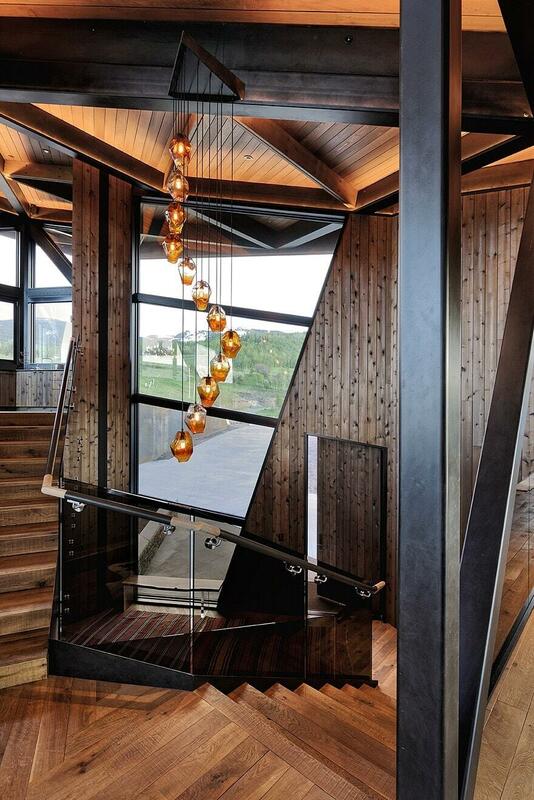 The Owl Creek residence is truly a modern and serene rocky mountain retreat.